Remember how I told you all that I had a very special project that I was working on and that I was going to be able to tell you all about it very soon? Well, it's time I can finally share it with you! 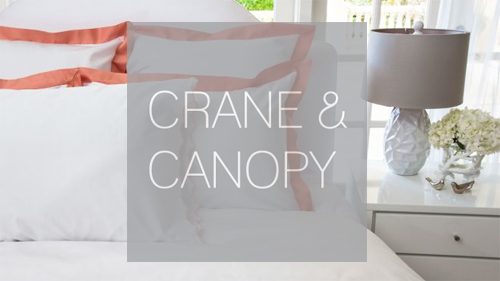 A few weeks ago I was asked by Crane & Canopy to be a part of their Bloggers We Adore series where they ask bloggers a few questions about ourselves and how we would style a bedroom with some of their pieces. Well, to say that I was thrilled to be asked is an understatement. More like over-the-moon! Enough with the babbling. Head on over to their blog to check out my Q&A along with my bedroom roundup! And let me know what you think!